One of the most beautiful cities I've been to, especially with their old architecture. Old Montreal, Drummondville & Candiac are others in Quebec which have great scenes of landscape & older buildings. Great image! What a surprise to see it on line - I have a very similar photo on display in my dining room. It was taken well over 20 years ago, from what looks like the same spot but in fall after the trees had shed their leaves. True to my anti-social tendencies, I framed my shot to emphasize buildings, not people. The red oval sign on the right is new(ish)... lol. Just booked my flight and hotel for next week. Growing up in Montreal you would think I went a lot, but can only recall one family trip there when I was about 8. 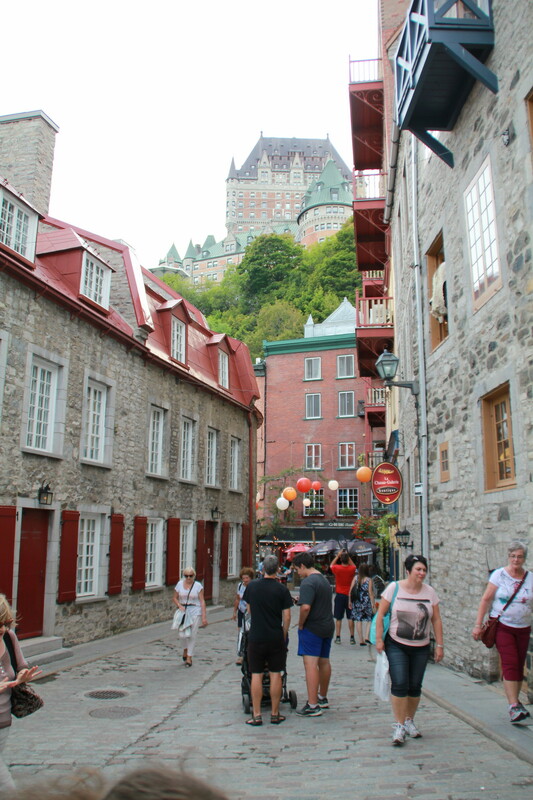 I've been to Quebec City a few times ... Old Quebec City is so interesting. I've got to plan a trip here.